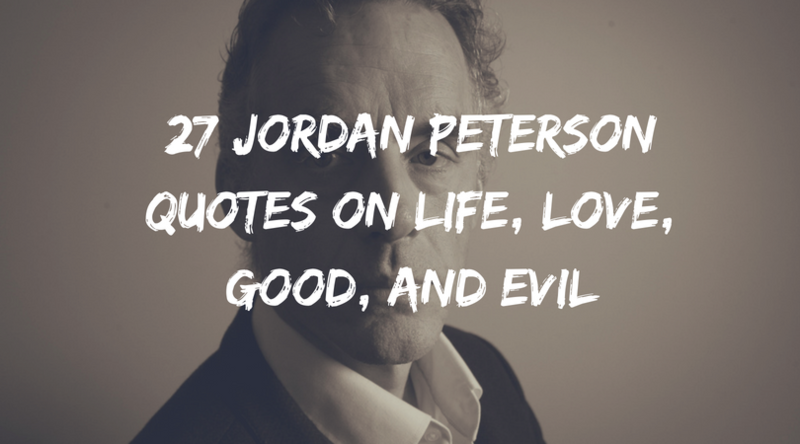 1 27 Jordan Peterson Quotes on Life, Love, Good, and Evil. There’s something that our culture has largely failed to digest. It’s a fact that has enormous potential for both your well being as an individual and our good as a society as a whole. And it’s not that we haven’t noticed it, but it’s certainly something we have yet to truly understand. That is, the real potential for YouTube to transform the next generation. See, while two-dimension cultural narratives would say that we, as young people, are simply a bunch of video game playing, funny cat videos watching, silly meme-sharing entertainment-addicts (which we partially are), a look at the facts would differ. 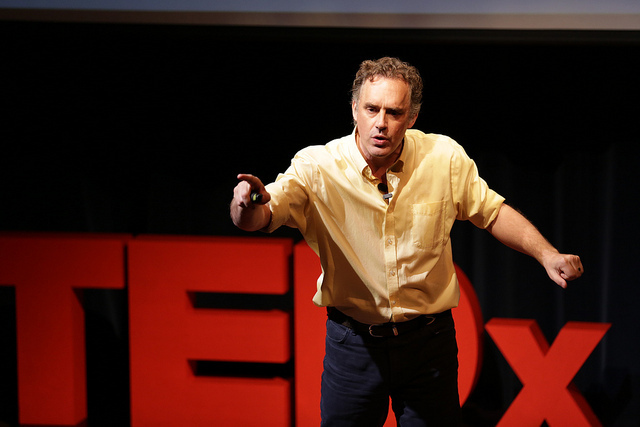 If we follow the rise of Dr. Jordan B. Peterson, a psychology lecturer out of the University of Toronto, we may see a different story. Dr. Peterson’s views have been heralded by some as controversial, but I’m not interested in that aspect of his fame. I was drawn to the fact that he went from being a relative unknown lecturer with a few thousand followers to a popular public figure with over a million YouTube followers. And this is all in less than two years. I attended one of Dr. Peterson’s talks a few months ago, when he was on a book took in Australia, and I was fascinated by two things. Firstly, this is a man who is giving complex lectures about Carl Jung, the Soviet Union and the nature of truth – and millions are watching. This is high-level academia, and it’s now both accessible and sought after by enough people to fill a small country. It turns out the masses aren’t so simple-minded after all. Secondly, the audience at the talk was almost overwhelmingly young men, looking for meaning in their lives. Peterson frequently lectures about depression (his family has a long history), and I’m sure many of those in the audience had experiences with mental illness. They were more engaged than I’ve seen in any university lecture, and it seemed his ideas were giving their lives meaning and direction. There are a lot of things I agree with Dr. Peterson on, and his talks particular around mythology inspired me to read a dozen or so books related to Jungian psychology. One thing I don’t agree with is his (apparent) perspective on meditation, though I think that his stance is probably from a lack of knowledge and experience rather than any ulterior motive. His words have a certain depth that reveal a deep look into human nature, not in a way dissimilar to that of Viktor Frankl. His perspective has obviously been coloured by his experiences of depression, and it sometimes makes for terrifying reading. 27 Jordan Peterson Quotes on Life, Love, Good, and Evil. Having studied Soviet Russia and the evils of communism for many years, Peterson has developed an attitude that some would call hyper-realist. There is however always a spark of optimism, as he emphasise personal autonomy and responsibility, working first on yourself, before trying to save the world. Peterson has often said that he is high in trait empathy and openness. This is partially why I am attracted to his ideas, as well as those of Jung, as we share a similar temperament. Looking at what you don’t know is therefore always an opportunity for growth, change, and increased connectedness. Peterson’s ideas may be complex, but his advice for life is surprisingly simple; start small and start with yourself, take on as much responsibility you can bear, and aim straight at a goal before being willing to discard it for the next one. “Any perceptible alteration in heart-rate can trigger thoughts both of heart attack and an all-too-public and embarrassing display of post-heart attack distress and suffering (death and social humiliation constituting the two most basic fears). It’s normal that we would equate love with respect, and therefore self-love is a natural byproduct of self-respect. To earn self-respect, we must take on responsibility. I would add that love is also related to attention, and therefore to place attention on bettering yourself is an act of self-love. “One of the things that the Hindus do in relationship to Kali, is offer sacrifices. So you can say, well why would you offer sacrifices to something you’re afraid of. And it’s because that is what you do, that’s always what you do. You offer up sacrifices to the unknown in the hope that good things will happen to you.